Most cases of depression are treated with prescription drugs that trigger a range of problems of their own. 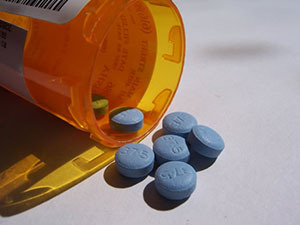 Fluoxetine, ertraline, paroxetine, fluvoxamine, citalopram, and escitalopram are just a handful of the most frequently prescribed antidepressants, all of which have a long list of adverse side effects. However, researchers are now saying that acupuncture may effectively treat depression in some individuals. A recent study conducted researchers in the U.K. examined 755 patients whom were diagnosed as being clinically depressed by the their primary healthcare physician. The patients were then split into three different groups based on the treatment they were about to receive. One group received one-on-one counseling, another group received “usual care” (antidepressants), and a third group received acupuncture. To determine the success of the treatment, researchers gave patients a health questionnaire at 3 months and 12 months, asking the patients series of questions regarding their emotions. To researchers’ surprise, one third of patients whom were treated with acupuncture experienced a 50% or more improvement in their depression score, whereas 29% of patients from the other groups experienced an improvement. But this isn’t the only study involving acupuncture and depression. In an issue of the Journal of Alternative and Complementary Medicine, researchers found that electroacupuncture – acupuncture needles used in conjunction with a mild electric current – was equally as effective at treating depression as the frequently prescribed antidepressant fluoxetine. The traditional Chinese medicine (TCM) system of acupuncture aims to restore a person’s Qi by correcting imbalances in various channels known as meridians. When placed on the appropriate areas of the body, acupuncture needles stimulate the human body’s natural healing process, which is believed to improve his or her Qi, and subsequently aid in treating depression. This article was posted in Acupuncture, Wellness and tagged anxiety, depression, drugs. Bookmark the permalink. Follow comments with the RSS feed for this post. Both comments and trackbacks are closed.